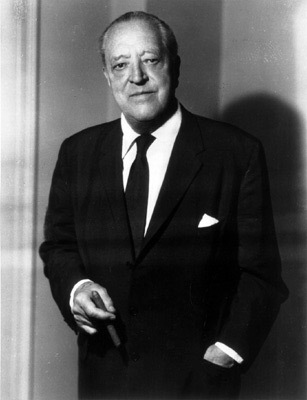 Ludwig Mies van der Rohe born Maria Ludwig Michael Mies (March 27, 1886 – August 17, 1969) was a German architect. Pronounced [lʊdvɪg mɪis væn dɚ/ɹ̩ ɹoʊ] in America, [ludvix mi:z fʌn dɘʁ ʁo:ɛ] in Germany, commonly referred to and addressed by his surname, Mies, by most of his American students and others. Ludwig Mies van der Rohe, along with Walter Gropius and Le Corbusier, is widely regarded as one of the pioneering masters of modern architecture. Mies, like many of his post World War I contemporaries, sought to establish a new architectural style that could represent modern times just as Classical and Gothic did for their own eras. He created an influential Twentieth-Century architectural style, stated with extreme clarity and simplicity. His mature buildings made use of modern materials such as industrial steel and plate glass to define interior spaces. He strived towards an architecture with a minimal framework of structural order balanced against the implied freedom of free-flowing open space. He called his buildings "skin and bones" architecture. He sought a rational approach that would guide the creative process of architectural design, and is known for his use of the aphorisms "less is more" and "God is in the details".